Our 2014 Sgoil-Earraich Nàiseanta(National Spring School) will be held in Melbourne, Latrobe University Bundoora campus on the last weekend in November Friday 28th to Sunday 30th 2014. Accomodation has been booked at LaTrobe University. More details will be available shortly. The harp concert organised by Comunn Gàidhlig Astràilia with assistance from the Harp Society of NSW was held on Sunday 27th July 2014 at the Macquarie Chapel Presbyterian Church at Eastwood. 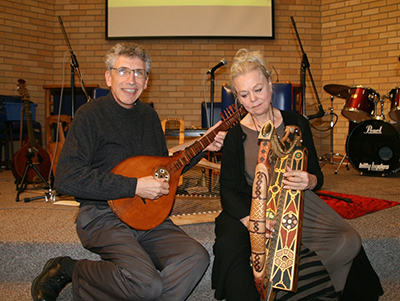 The performers were Ann and Charlie Heymann from the US, supported ably by the Coisir Ghàidhlig Astràilianach (Australian Gaelic Singers). Ann is a leading expert on the ancient clarsach (Gaelic harp) and Charlie sings ballads and early Gaelic poetry. 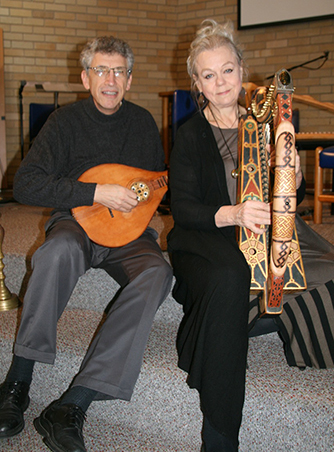 Ann played a beautifully decorated harp, and Charlie played a range of instruments as well as singing. The afternoon concluded with afternoon tea and an enjoyable time was had by everyone who attended. 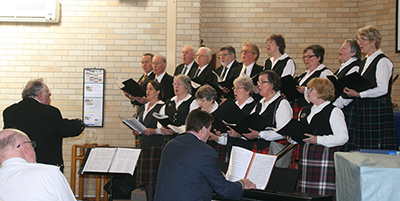 Proceeds from the concert have been directed to the Sydney University Gaelic teacher fund. Sabhal Mòr Ostaig, a college of the University of the Highlands and Islands, is offering a new post-graduate distance learning course in Scottish culture and heritage. The course looks at the traditional arts of Scotland and offers access to the digital audio archive website, Tobar an Dualchais/ Kist o Riches. For information and course application see PG Scottish Heritage & Culture. 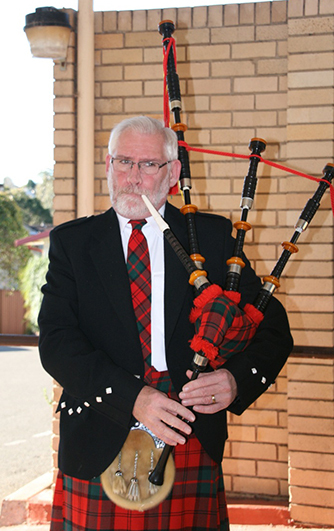 Saturday 20th Sept, Nelson Bay.Massed bands, caber toss, medieval battles and more. See flyer for more details.